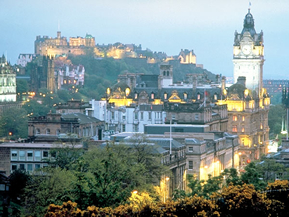 Find the lowest prices for English Language Courses in Edinburgh! Are you looking for English language schools in Edinburgh or a English summer school in Edinburgh? How about study English in Edinburgh or language courses for adults in Edinburgh? Whatever type of English course you are looking for, LanguageBookings.com will help you find it—and at the lowest possible price! Browse over many English schools in many locations in Edinburgh until you find the English course and school that is right for you. We make it easy to find discount prices at the most popular schools in Edinburgh and we provide detailed school information, photos, videos and students reviews for a great variety of English schools in Edinburgh. Choose LanguageBookings.com for all your courses reservations, and see why more and more students are choosing us to study English language in Edinburgh! More and more people are flying abroad to take English courses Edinburgh. Most of those who had finished their English courses Edinburgh were satisfied with the quality of education of that they gleaned from this city. But Edinburgh is more than just an academic hotspot; this is also a place where you can have lots of fun under the sun as you take English courses Edinburgh! This is a place where you can study and play at the same time. If you choose to take up English courses Edinburgh, you will also get the chance to feel the Scottish society and be a part of this wonderful city. Not only that, Edinburg is a city of diverse culture and you can meet a lot of people here as you take up English courses Edinburgh. Festivals are also regularly held in Edinburgh which makes it a happy and joyous place. You can witness some of these festivals while you are taking up English courses Edinburgh. The most famous festivals that are celebrated in this enchanting city are the Hogmanay and the New Year Festival. During your stay to study English courses Edinburgh, you will also get the chance to participate and witness the Book Festival, the Fringe Festival and the Edinburgh Film Festival. Spring is the most beautiful season in Edinburgh. But no matter what time of the year you come to this country, you will still be welcomed by the warm people and the attractive tourist destinations that this city has to offer. If you have a break from your English courses Edinburgh, then you can visit the famous Royal Yacht Britannia and the Edinburgh Castle. Edinburgh is also filled with green, wide and open spaces where you can take refreshing walks or have a picnic with your friends. While you are studying your English courses Edinburgh, you can also visit the sites that serve as the hallmark of their history like the Scottish Mining Museum, the Union Canal, and the Scottish Seabird Centre. You can also have a taste of the local cuisine in many of the EatScotland eateries that are abundant in the city. If you are fond of merry drinking sessions, then you can also visit the Scotch Whisky Experience. Here, you can ride a barrel ride that will take you on a tour on the distillery and make you feel like you are a part of the whole process of making whisky. Also, if you happen to appreciate literature, you can also go to the Writers Museum while taking up your English courses Edinburgh. This museum is in the Lady Stair’s House and it was built during the 1622. Here, you can find some of the masterpieces of Scotland’s greatest literary persons like Robert Burns and Sir Walter Scott. The Scotland’s capital has a lot to offer you. Whether you are a student, a tourist, or both, you will appreciate this unique and amazing city. Take English courses Edinburgh and feel the Scottish vibe as you become a part of their society. 100% guaranteed, that you will pay the lowest price for English courses in Edinburgh. We offer you the lowest possible course rates - you never pay more than if you booked directly with the school itself or anywhere else. Besides, our service is free. We do not charge any booking fees. It's very unlikely that something will go wrong with your booking once confirmed by the English language schools in Edinburgh. In fact we're so confident, that if you don't have your course place at the selected school, we'll credit your account with your full deposit AND find another possible alternative for you.